A hospital-acquired infection (HAI), also called a healthcare-associated infection, is one that is acquired while the patient is in the healthcare facility. We tend to think of hospitals as institutions of healing and wellness. You would not be wrong to have the expectation that your hospital be clean, well-managed and have professional, helpful doctors, nurses and staff members. Some hospitals fail miserably when it comes to providing safe, sanitary conditions where a person can receive medical treatment without contracting an infection while others excel. A study in the New England Journal of Medicine reports that at any time in the U.S., one out of 25 hospitalized patients will be affected by a hospital acquired infection. Harris Lowry Manton LLP enjoys the distinction of being the only law firm in Georgia to secure #1 verdicts in multiple areas of practice, including medical malpractice, every year for the past 11 years. We recently obtained an $18 million verdict on behalf of a client who was paralyzed because of an untreated infection. You can trust us to fight for justice on your behalf, too. HAIs can be incredibly dangerous; in some cases, they can be life-threatening. While any patient may be at-risk of an infection, patient who have recently undergone surgery, are immunocompromised in any way, or who are either very young or elderly, are especially vulnerable. One reason that HAIs are so dangerous is because some of them – MRSA and C. diff, in particular – do not respond to penicillin or amoxicillin, the two most commonly-used antibiotics. Because of this, these infections are often labeled “superbugs,” meaning they take more effort to cure. For more vulnerable patients, this could lead to a life-threatening emergency, instead of a long-term, but ultimately less damaging, alternative. How does hospital-acquired infection occur? HAIs occur because hospitals can become a breeding ground for infection if medical devices, patient rooms, the hospital’s air heating and cooling systems, water filtration processes and doctors’ and nurses’ hands are not sanitized sufficiently. Patients in the hospital often have a suppressed immune system while they recover from surgery or from an illness making it increasingly likely that they would be vulnerable to opportunistic infections. What if the infection is not diagnosed until after I have left the hospital? After you have been a patient in the hospital and then you go home and promptly succumb to an infection, it could still be considered a hospital-acquired infection. If the infection occurred within 48-hours after hospital admission, three days after discharge or within 30 days of an operation it might be considered a hospital-acquired infection. A hospital-acquired infection can cause serious, lasting complications, additional medical expenses, lost time at work and loss of the enjoyment of your life while you are ill and recovering. Health care professionals owe their patients a duty of care, and hospitals are required to maintain a safe, healthy environment for patients. When hospitals and medical professionals fail in their duty to protect patients from infection and other harm, they can be held legally accountable for the patients’ losses. 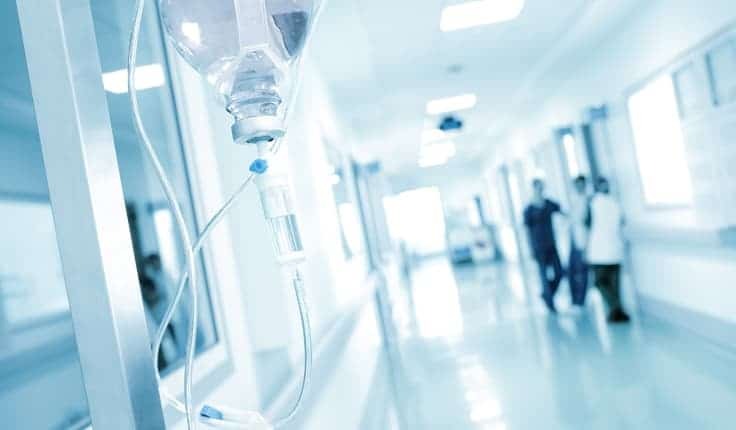 If you have sustained a hospital-acquired infection because of the negligence of a hospital or a medical professional, you may be able to take legal action to recover compensation for your losses. An Atlanta medical malpractice attorney from the law firm of Harris Lowry Manton is prepared to engage the services of a medical expert who will investigate your case and determine where the breach in the standard of care occurred, and who is at fault for your injuries. Please note that under most circumstances, medical malpractice claims must be made within two (2) years from the day you were injured, or could have reasonably known you were injured. For patients who are declared legally incompetent and for minor children, exceptions do apply. Georgia has a two-year statute of limitations for filing a medical malpractice claim, and it also has a statute of repose that requires a medical negligence claim be filed within five years of the date of the injury. A soon as you are aware of the injury and that it might be a result of medical negligence, you should consult a medical malpractice attorney immediately. It takes time to do the research, investigate the claim, find the appropriate medical expert to give testimony. At Harris Lowry Manton, our medical malpractice attorneys serve the injured in Atlanta and Savannah, and throughout the state. We take cases on contingency, so you do not pay us until we recover compensation for you. We take on the legal burden, we fight on your behalf for justice in the form of fair compensation for your losses. Harris Lowry Manton Atlanta LLP is an award-wining law firm dedicated to fighting for victims of medical malpractice. For experienced counsel for injures from hospital-acquired infections, or any other form of medical negligence, please call our Atlanta office at 404-998-8847, or our Savannah office at 912-417-3774. You can also complete our contact form today. Your first consultation is free.